Changing demand patterns, complex initiatives and exponentially increasing data volumes are just a few of the challenges facing the highly competitive oil and gas industry. In order to overcome these complicated issues and stay ahead of countless industry rivals, Texmark Chemicals (a Texas toll manufacturer) is turning to advanced IoT technologies to modernize their business and create a Refinery of the Future (RotF). 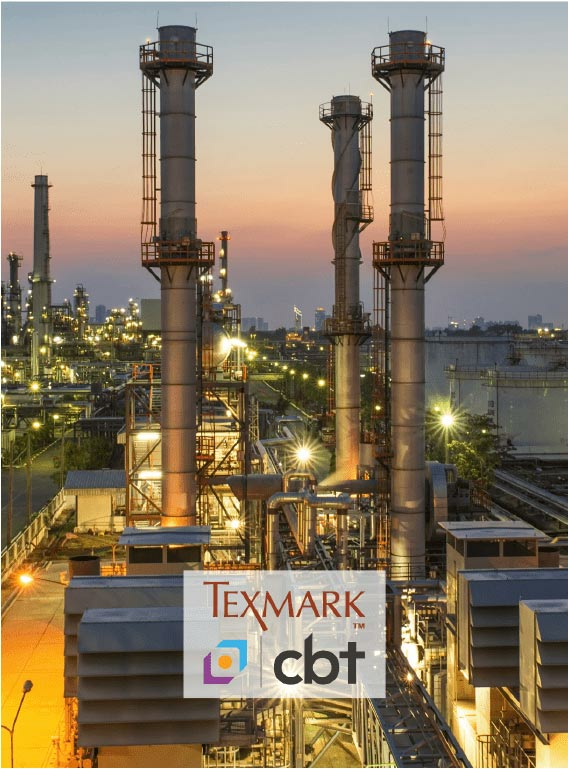 In tandem with a robust team of industry-leading partners (including HPE and Aruba Networks), CB Technologies is working to build Texmark a Refinery of the Future, featuring advanced IIoT capabilities for improved process analytics, up-time, customer satisfaction and worker safety. Our combined vision is of next-generation plants that enable companies to compete at the highest level while delivering superior worker safety and production. This vision hinges on the emerging promise of the Industrial Internet of Things (IIoT) that combines advanced analytics software with sensored devices to generate real-time insights, provide full automation and oversight, and reduce the risk of human error. Condition Monitoring and Predictive Analytics – collecting and analyzing real-time information from pumps and refinery equipment to predict malfunctions before they occur. Video as a sensor – utilizing video & edge analytics to detect issues within the plant. Safety and security – Concept of “man down.” That is, tracking and capturing personnel movement and using that information to make sure that in a dangerous environment, the people are protected. Connected Worker or Augmented Reality – this can be succinctly described as location-based, context-aware content. Taking a variety of field personnel and connecting them with specific and personalized information to make fast, informed decisions. Asset Integrity – full lifecycle asset management including detailed 3D asset modeling and a robust digital twin with connected online attributes and metadata. 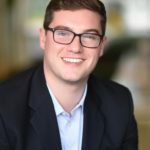 As mentioned earlier, CB Technologies is not the only company working on this project. We are the lead systems integrator on Use Cases 4 and 5, but without a robust group of partners like HPE and Aruba, the Refinery of the Future would not be possible. This RotF project is no ordinary IoT deployment – IoT holds the promise of benefiting Texmark’s production streams in a multitude of ways, but specialized manufacturing like Texmark’s needs more than a one-size-fits-all solution. It requires the leading edge of technology, which in turn brings the challenge of working in uncharted and untested territory. With that said, we are confident in the abilities of this network of partners to deliver something truly revolutionary and look forward to providing further updates as the project progresses. For more information on the Refinery of the Future, please see our Asset Intelligence page and our other blog posts. To schedule a tour of RotF at the Texmark Facility, please contact us here.